a couple things about the card database. 1 - all cards are not in there. I think all cards ever printed should be in the card data base. I also think that some how the database should show what set he card came out of. This would also show if the card was a promo or not. Promos are not there because they are not legal play for tournaments.  I understand that, which is why we should also indicate what sets the cards are found in, as well if the card was a promo or not. And if tournament legality is what determines whether or not it goes into the database, why bother putting FiF in there until after Gen Con. The rules for GenCon stated that sets released prior to July 1, 2014 would be allowed. Then the date for FiF got pushed back until the 2nd of July. So by their own rules, FiF will not be legal at GenCon. This is the info I currently have about the events. Swiss format. Players will be grouped in pods of 8 & use a pre-constructed Apprentice spellbook. When time is called you complete the current round you are in then. To see if a winner can be decided after time we looked at the highest remaining life totals. This mulit-day, swiss-style. Entrants must bring a Tournament Legal spellbook. Top 8 will compete Sunday for the Championship. Only cards have have been released in a full Mage Wars product will be legal. Single elimination among finalists from day 1 & 2. If you have no clear winner another round is played. Until the match has a winner using the " To see if a winner can be decided after time we looked at the highest remaining life totals." Random books will be checked on Friday, Saturday, and Sunday. If you get checked on any day you can still be checked on another day. If your book is not registered correctly when checked during a round you will get an automatic round loss. If a book is checked and it is not correct before the event you must correct the error but no loss is given. In the Mage Wars Gen Con 2014 Championship players are require to bring all mage specific tokens they need to play their build. I could not find any post or info saying that FiF is not legal for Gencon. Please give me the link so we can correct the information and repost it. What cards, aside from promos, are missing? They aren't listed because they are not widely accessible. But why not add them for the people who have them and play casually. Put a note in the build that its not official tournament legal. There is no real reason to not have everything in the database even if to pre-plan books for future releases. And by adding them in there, that is where seeing what expansions they were released in comes in to play. Because if the don't have an expansion, they aren't "tournament legal"